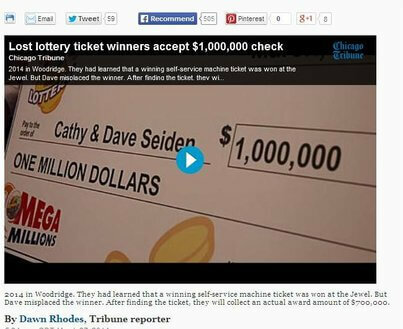 But when colleagues told them a ticket sold at the same store won a million dollar prize, they decided to look at their ticket. Only thing was, they had misplaced it, and they had to turn their house inside out in order to find it. Their efforts were rewarded when they found the ticket and realized they had matched 5 of 6 numbers and won a million dollars. They collected a $700,000 lump-sum payment which they plan to save for their children’s education.